Recently, TerraMaster has officially released the latest generation of its Thunderbolt 3 RAID device, the D5 Thunderbolt 3. This product adopts the latest Thunderbolt 3 technology, with a transmission rate of up to 40 Gbps. 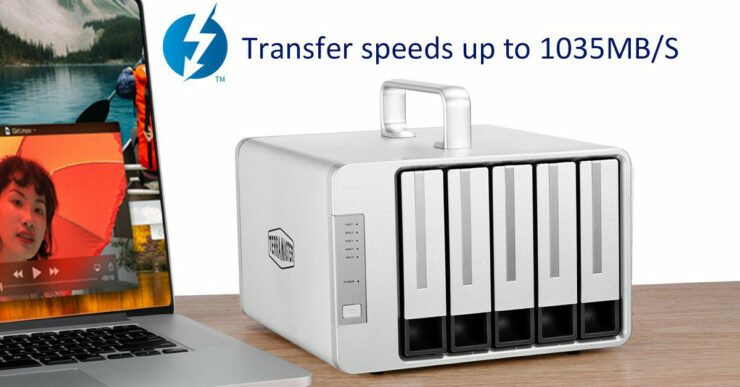 It supports the hardware RAID 0, 1, 5, 10 and other data backup technologies, which greatly improves file transfer efficiency and data security. 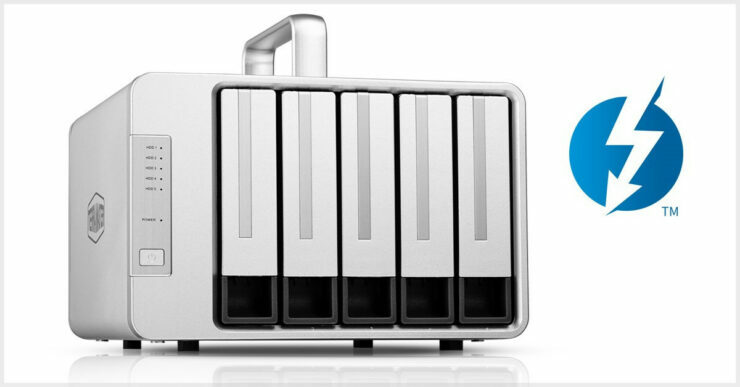 Terra master says this is specifically designed for photographers, video editors, and other media workers, to provide them with a large capacity, ultra-fast 5-bay RAID storage device. In appearance, the D5 Thunderbolt 3 inherits the style of the previous TerraMaster storage series products by using a rugged, aluminium-alloy integrated housing. This is paired with a high-efficiency heat-control system, built in with intelligent temperature-controlled fans. With the Thunderbolt 3 dual interface and DisplayPort interface, you can connect 5 Thunderbolt 3 devices or display devices simultaneously. DisplayPort users can also connect it to the external 4K @ 60Hz high-resolution screens. The Thunderbolt 3 interface offers a high-speed transmission of up to 40Gbps, which is 4 times the speed of USB3.1. In addition, the actual read and write speeds can reach up to 1035 MB/s. Copying 1 hour of 4K raw video clips with the TerraMaster D5 takes 1 minute, which can greatly reduce the time required for 4K video post-production. The D5 can house five 12TB hard drives, with a storage capacity of up to 60TB, and it can store more than 100 hours of 4K video materials. It is especially valuable for post-production, including non-linear film editing that requires ultra-large capacity and high-speed transmission. The D5 Thunderbolt 3 employs a powerful hardware RAID controller to support multiple RAID modes, including RAID 0, 1, 3, 5, 10, Single, JBOD, and so on. In addition, it supports RAID5 backup technology and the hard disk hot-swap design, which permits the automatic restoration of hard disk data after being replaced, greatly improving data security. 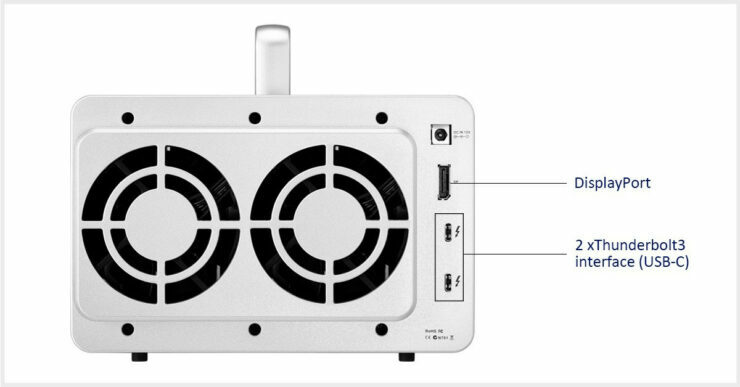 Moreover, the two Thunderbolt interfaces also support a 15W power output, which means that when laptops and other devices are connected to the D5, they can deliver power while transmitting data. TerraMaster’s D5 Thunderbolt 3 offers an efficient and stable work experience for film and television creators. It stimulates their innovative energy and allows them to engage in film and television post-production in a more proficient way, thereby promoting the creation of more exciting visual effects.